Get your poker face ready! on Saturday, Mar 19, 2016. 6:00 Pm. Now excepting sponsors and player registrations. Limited to first 90 players to sign up. 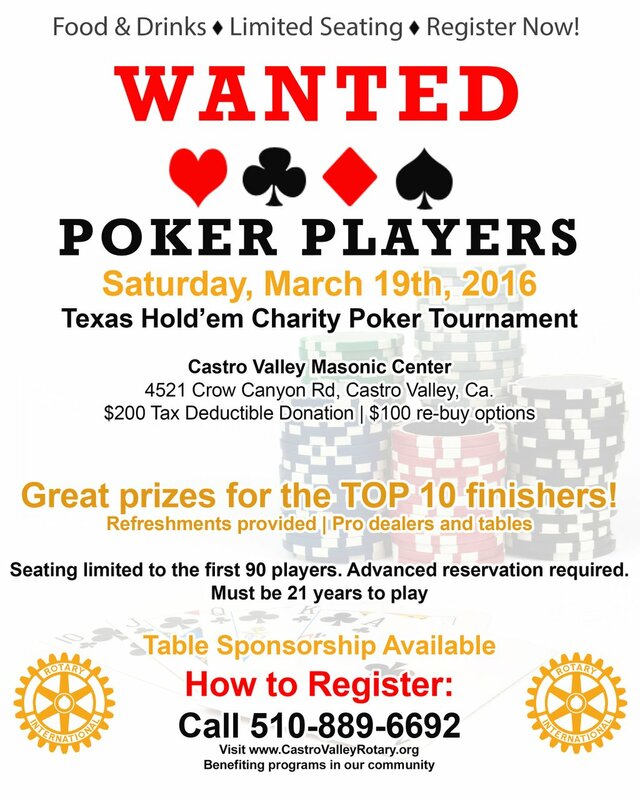 Food, refreshments, top 10 win prizes, pro dealers and tables. See flyer at link below and share with friends.